When you think of Kansas, you probably think of two things. The Wizard Of Oz, and well, barbecue. 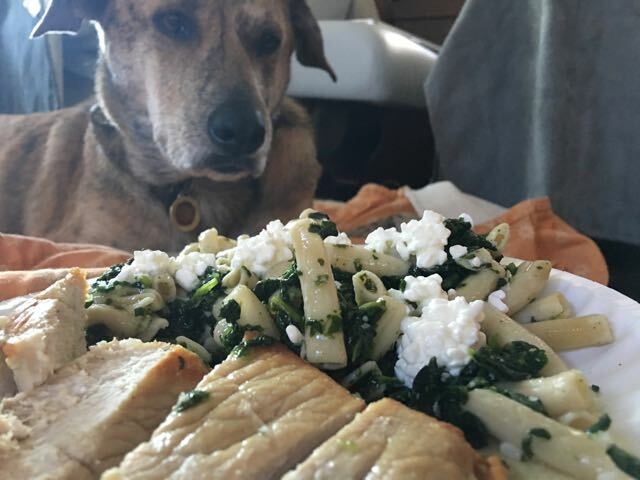 We took this wonderful state’s classic recipes and made it into one, dog-friendly version. A healthy treat for your dog, make sure you go to this state and try the person version loaded with yummy sauce and flavor! Combine tomato sauce and spices in a pot and simmer until heated thru on low. Remove from heat. Saute pork chop in peanut oil until cooked completely thru. Add to sauce mixture. Let cool completely. Serve over brown rice or pasta with spinach sprinkled with cottage cheese. Never serve hot food to your dog. Disclaimer: This is not meant as a regular meal replacement, but as a fun treat! Always consult your vet before making any changes to your dog’s diet.